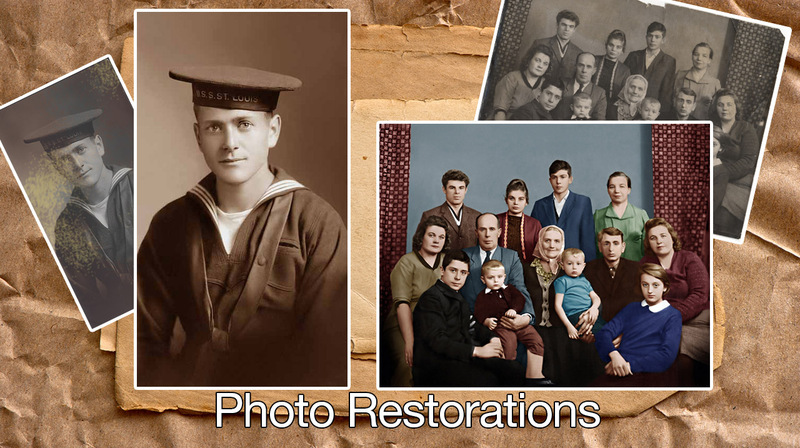 Make old photographs – like new again! We also offer a photo retouching, sometimes called airbrushing, service. 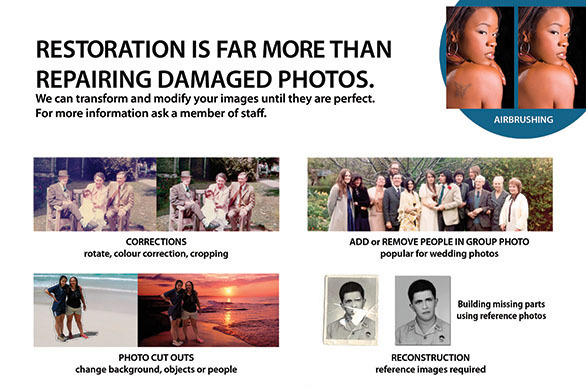 Removing unwanted backgrounds or combining two photos together are all part of the service. Ask a member of staff for full details of our bespoke service.